Much as aircraft design influenced the automobiles of the 1920s, the emerging aerospace industry and rocket technology influenced styling of the early 1950s. With supersonic speeds finally achieved, it was natural that an automobile would emerge dubbed the Supersonic—and that it would come out of Italy, the forefront of worldwide automotive styling at the time. 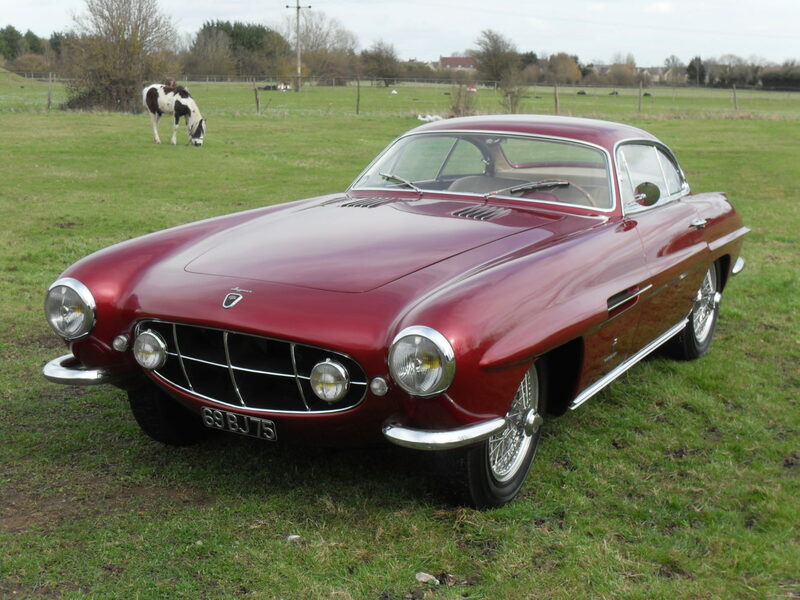 The Supersonic was created by Ghia designer Giovanni Savonuzzi and originally appeared on a Conrero-tuned Alfa Romeo 1900 entered in the 1953 Mille Miglia. Its ultra-streamlined curves, appearing to have been stretched in aluminum over a chassis, would be copied on a small run of Fiat 8V chassis, an Aston Martin, and no fewer than three Jaguar XK120s. Upon completion of this particular car it was exhibited at both the Paris and London shows in 1954, and it also took part in the concours d’elegance competitions in Montreux and Cannes. As of today, it is one of just two of these stunning XK120 Supersonic models left in existence. Thought, this car is unique as the only one accommodating three 2-barrel Weber carburetors, rather than the standard twin SUs, and enabling the engine to produce some 220 brake horsepower.